Etching by Léonard Limosin, 26.1 x 19 (Zerner), the lower left cut, the lower right torn. Inscribed at the lower right: 1544, and on a plaque: LEONAR[D] / LIMOSI[N]. Robert-Dumesnil, 1841, 49, 4. Le Blanc, 1854-1890, II, 553, 4. Herbet, IV, 1900, 329, 8. Zerner, 1969, L.L.8. COLLECTION: Paris, AA 1 Rés. 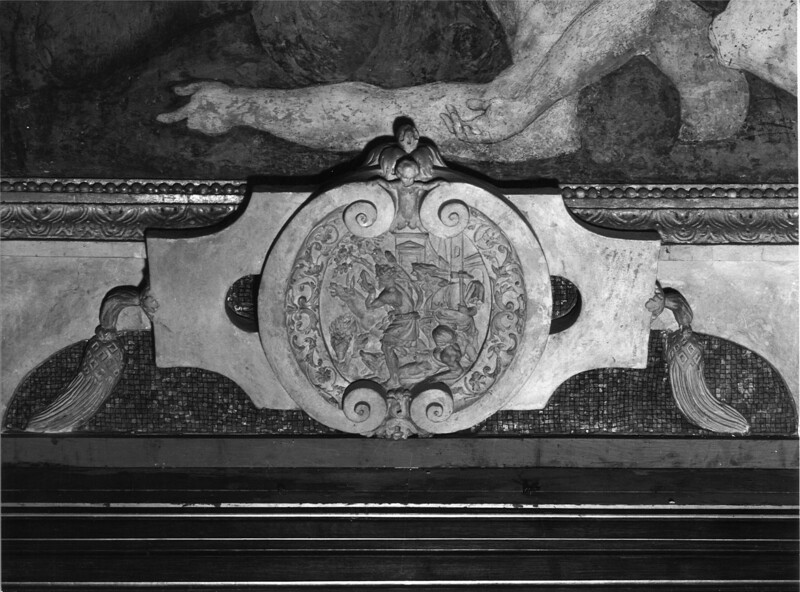 Kusenberg, 1931, 115, 119, 208, n. 312, pointed out that the figure seen from the back at the left is related to one in the left relief on the West Wall of the Gallery of Francis I, and that the two figures at the lower right are related to two in the relief beneath the Combat of Centaurs and Lapiths in the gallery. Adhémar, 1938, 3, no. 8. 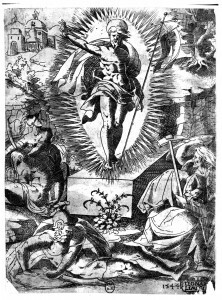 Zerner, 1969, xxxiii, stated that two figures at the right are literally taken from a composition by Rosso, his Allegorical Scene of Rage and Madness, or more probably from an etching of it [E.140]. Fay, in EdF, 1972, 291, under 356. The draped figure with a hammer at the lower right is related to the figure of Tribulation in Rosso’s Allegorical Scene of Rage and Madness in stucco beneath the Combat of Centaurs and Lapiths in the Gallery of Francis I (Fig.P.22, I S c). They are in the same direction, but whereas Rosso’s figure is female, Limosin’s is a bearded old man. 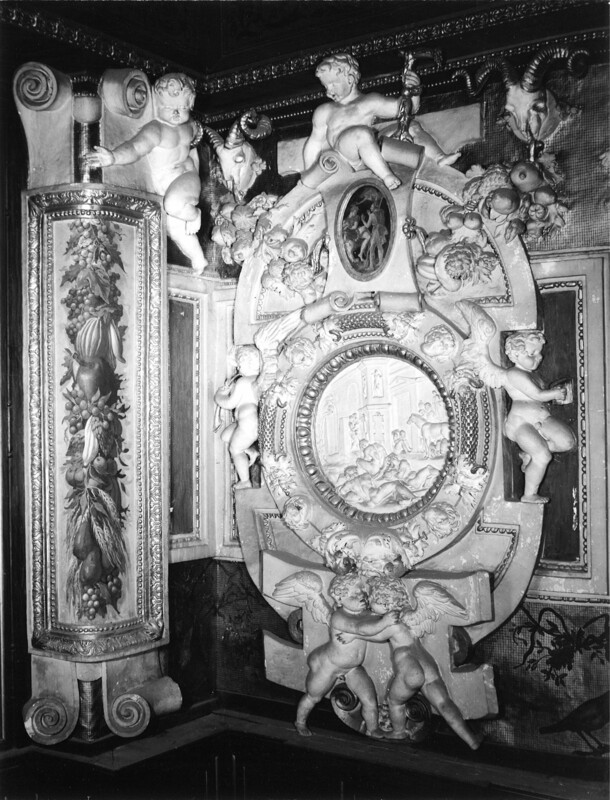 The man at the right with a shield in the print is slightly reminiscent of the female figure of Fury in the relief, both also in the same direction. 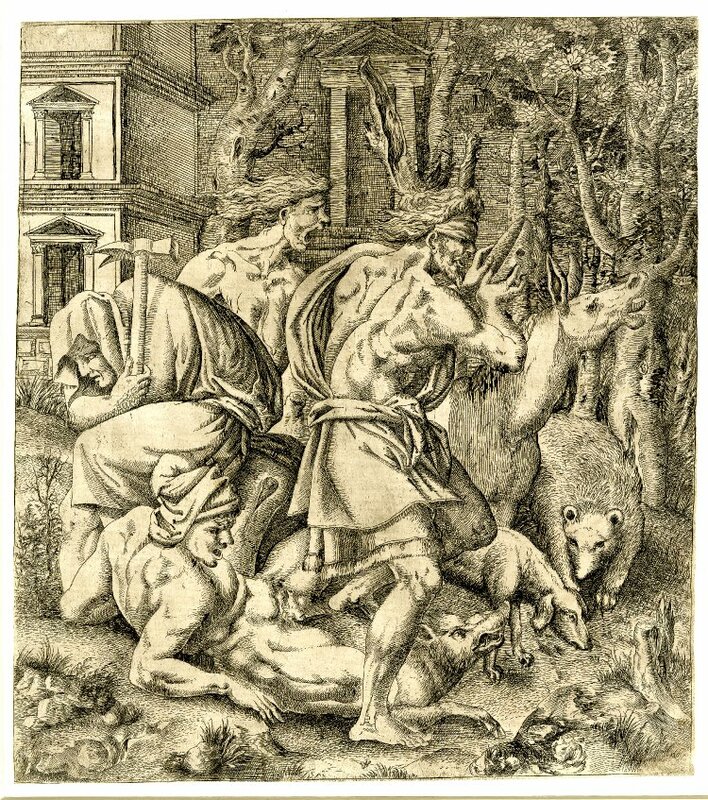 An anonymous print (Fig.E.140) shows this scene in reverse and is probably based on a drawing by Rosso other than the one that served the stuccoer in the gallery. As Kusenberg stated, the figure seen from the back at the left is related to the figure at the top of the foreground group in the relief on the left side of the West Wall of the gallery (Fig.P.22, WestWall, d). There is no known print of this scene, although one may once have existed. Or again, Limosin may have known a lost drawing by Rosso for this scene. 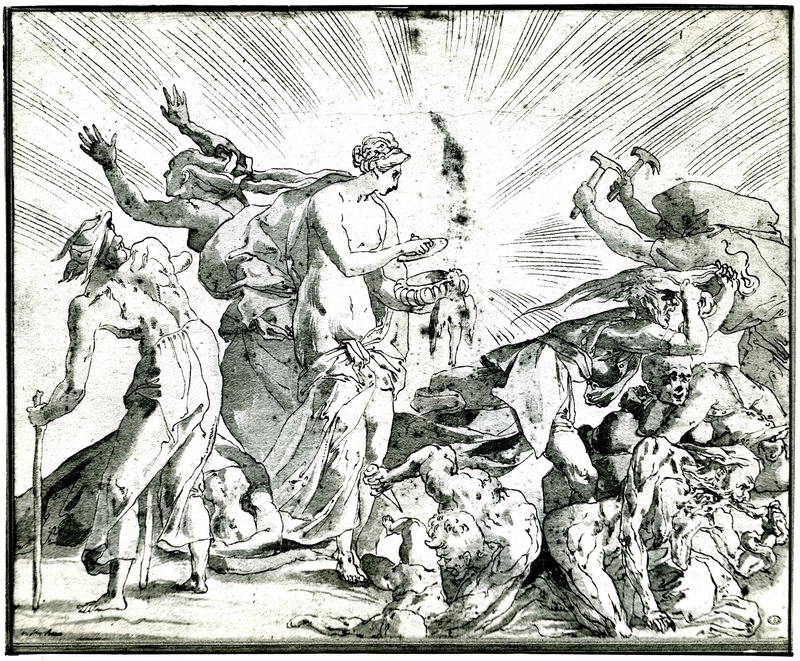 But it is possible that the entire scene of the etching goes back to another lost drawing by Rosso in which he used figures he had used before. However, it is impossible to judge to what extent Limosin was faithful to this supposed drawing. 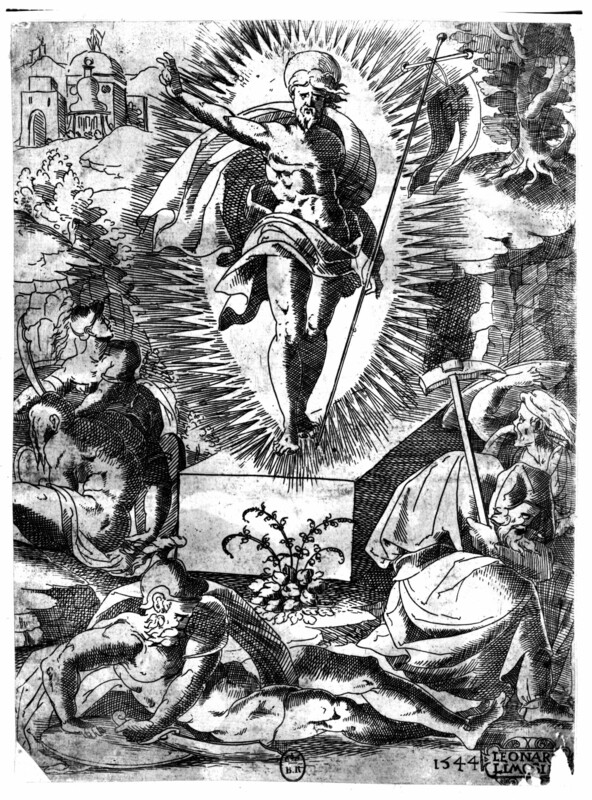 The man with a hammer is a strange figure in a Resurrection and one may well wonder what Rosso or Limosin meant by it. As a woman in Rosso’s Allegorical Scene of Rage and Madness and in his Pandora and Her Box (Fig.D.67a), the figure represents Tribulation, but as a man it could not. ENAMEL: Limosin. Écouen, Château, Musée national de la Renaissance, Cl 904K (Fig.E.97, Enamel). Oval, 34 x 26. LITERATURE: Du Sommerard, 1883, 364, no. 4627. Demartial, 1912, 24, Fig. 6, 25-26. 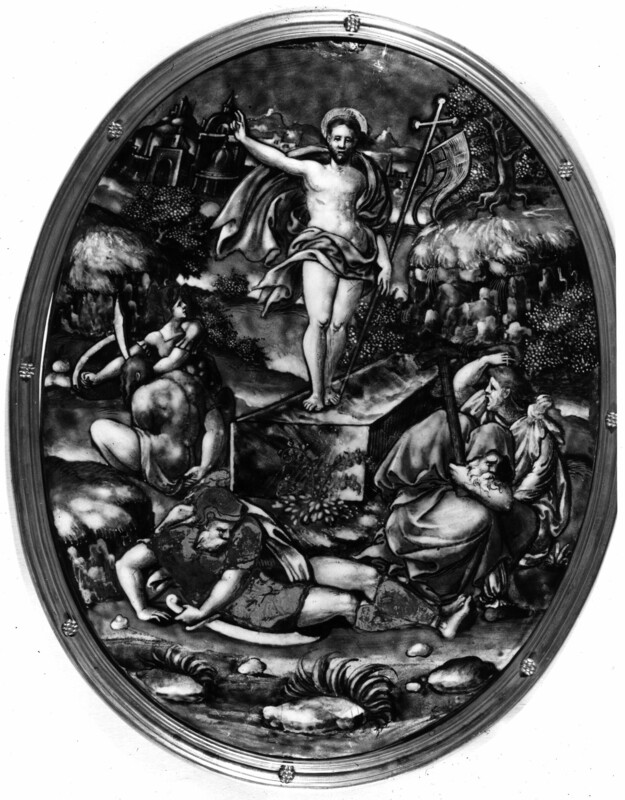 The enamel follows closely the print in the same direction, although the radiance around Christ is not reproduced. The figures at left and right have been slightly extended to fill the oval format of the enamel.